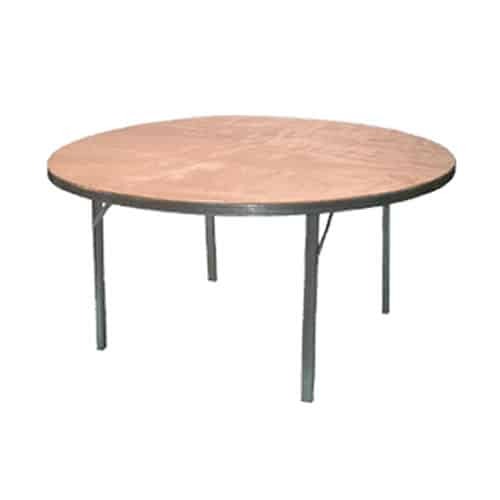 This 1.8 metre diameter table is often used for formal dinners and gala events. There’s enough room to sit 10 guests comfortably with plenty of room in the middle for flowers or decorations. 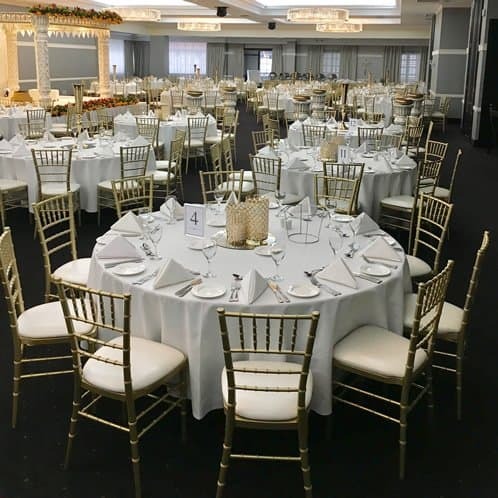 When planning your event allow an area of 3 metres x 3 metres which allows enough room for the table, chairs and access for guests to enter or leave the table. 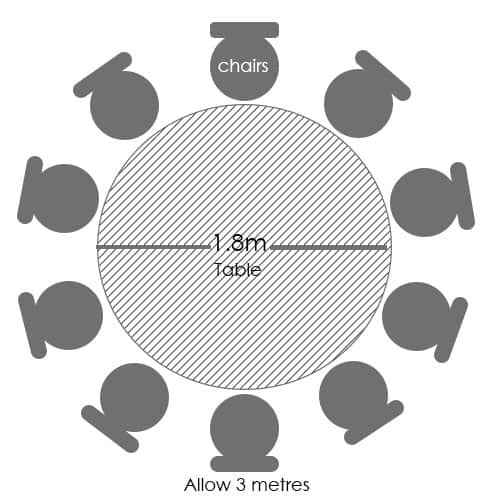 When the event is over the legs can be folded under the table and the table rolled away like a wagon wheel. 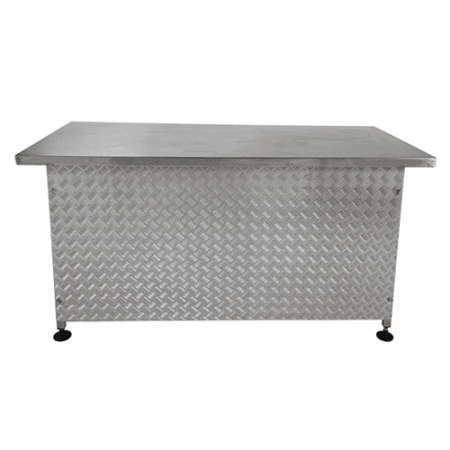 This is a very strong and sturdy construction with plenty of unobstructed leg room.